Many thanks to all who submitted texts for the issue, which I hope you will all enjoy. As an ongoing reminder: the Bulletin is always in search of new content. 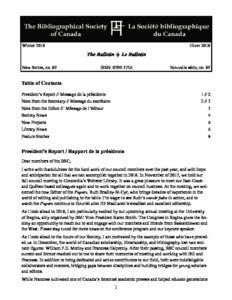 If there is anything you would like to share in the next issue, please do not hesitate to contact the editor at bulletin@bsc-sbc.ca. 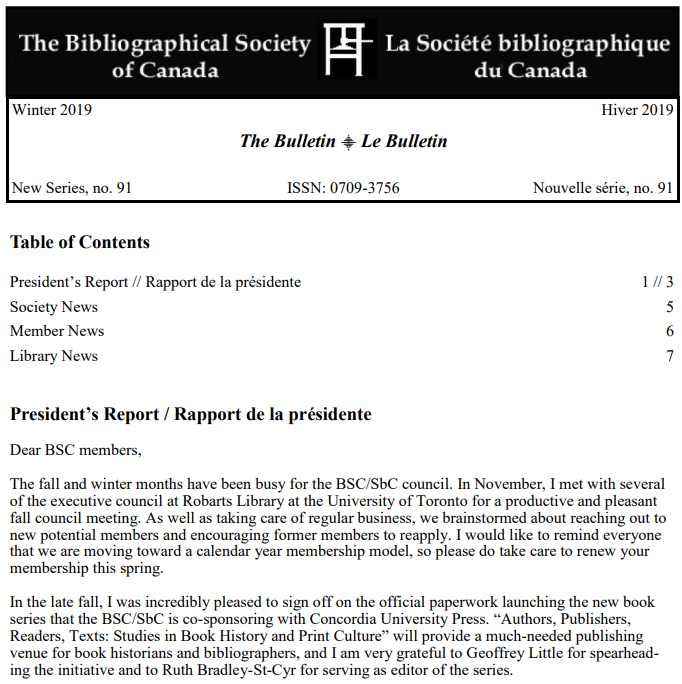 The latest issue of the Bulletin (Winter 2018) is now available online on the website at http://www.bsc-sbc.ca/en/publications/#bulletin. Many thanks to all who submitted texts for the issue, which I hope you will all enjoy.